Another phishing email campaign targeting iTunes users started up today. Dire consequences ensue if the user does not obey the email’s instructions. The dire consequences are locking of the recipient’s iTunes account within 24 hours. Once again, this is a scam email. Figure A shows the email. The subject line of the email is “Your account will be locked in the next 24 hours”. This is an urgent call for action. The sender of the email is “i-Tunes Corporation”. There is a copy of the Apple logo in the right hand corner. The email begins with the greeting “Dear Client”. The email has a single link. The link is a button inscribed with the text “Confirm My Account”. The email signs off as “Apple Team”. A basic copyright notice and an email identifier are at the foot of the email. The email states that the reason for the email is to verify the user’s account. The email goes on to explain that the account has some missing or incorrect information. 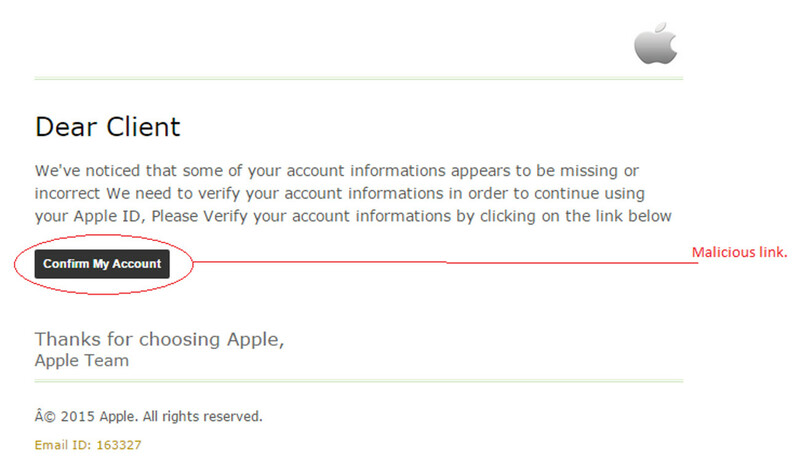 The email provides a link for verification of the user’s iTunes account. The email does not repeat the threat of the subject line. This phishing email’s complexity is moderate. This is enough to snare victims. Even simple phishing emails can haul in victims. There are several signs that this is a phishing email. The greeting used is one sign. Apple uses a personalized greeting. Another sign is the poor grammar. There are some glaring punctuation and capitalization errors. Finally, the link does not lead to the genuine iTunes website. It leads to a false website. The website is a phishing website, as far as we can tell. Phishing sites resemble the genuine sites. They aim to steal your login identifiers. Sometimes they will then direct you to the genuine website.